Modern interior architectural design seeks to create something as a standout or feature in any home, business or outdoor area. 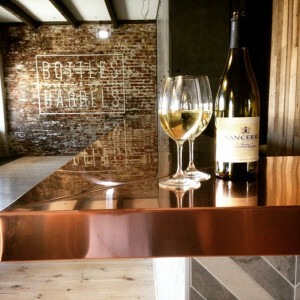 Urban Metalwork can design and fabricate a custom benchtop for your project. Whether it includes the metal only, or the full substrate and installation, Urban Metalwork’s design team can assist. We can also tailor-make our metal benchtops to cover an existing benchtop which may be old, worn, impractical or unsightly. Our metal benchtops are also suitable for use on coffee tables or any other interior or exterior surface. Contact one of the Urban Metalwork designers today about material selection, colours and finishes to add that real wow factor to your kitchen, home, business or outdoor area. If you’re looking for something to complement your metal benchtop, we also design and create high-end interior metal sculpture for Geelong residential and commercial use. You might also consider one of Urban Metalwork’s decorative metal panels for your kitchen wall. 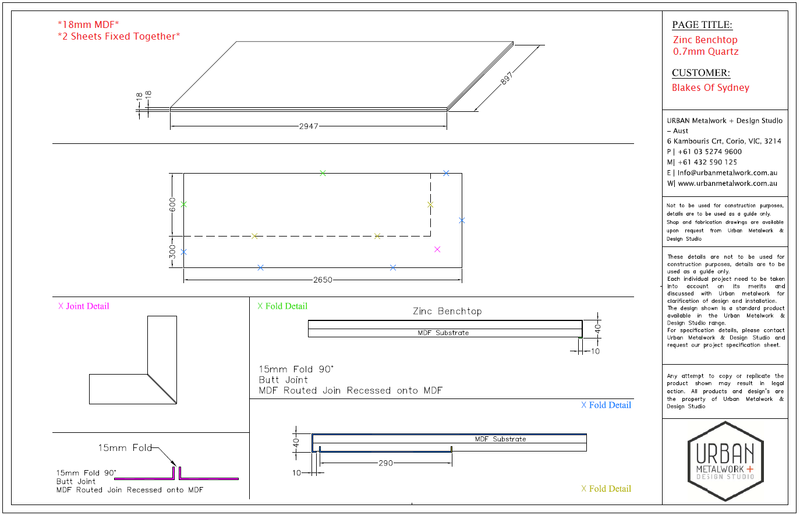 Click here to see an example of the shop drawings provided by Urban Metalwork & Design Studio, free of charge for all Benchtop projects. In addition to our range of Architectural Benchtops, Urban Metalwork also offer concealed structural Benchtop support brackets to suit all applications. These Benchtop brackets are cost effective, easy to install, painted in the colour of your choice and extremely quick and easy to install. Provides additional support to canter levered benchtops. Concealed fix creating a neat and clean finish. Strong & durable, being fabricated from 12mm thick steel plate. Minimalistic design so friends, family and guests cannot hit their legs and knees on gusseted style brackets. Cost effective from both a supply and installation point of view due to speed and ease of installation.